This is the view I have taking Nate to and from school everyday. 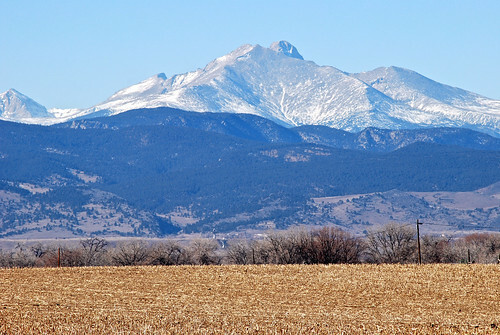 The first one is of the Indian Peaks, and the second is on Longmont's namesake: Longs Peak. I got to climb Longs Peak (14,259 ft / 4346 m) this past summer and I hope to do it again this year. 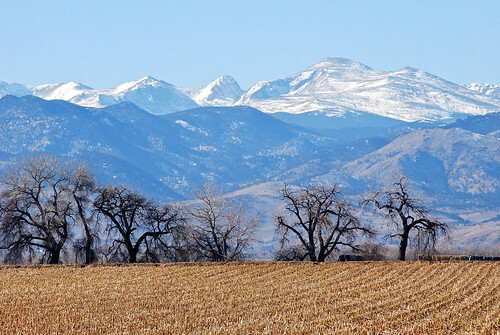 The view of the Rockies from Longmont is one of the best on the Front Range.